ON MARCH 1, 2015 AN INTERNATIONAL DELEGATION JOINTLY ATTENDED BY REPRESENTATIVES FROM HINDU YUVA MANCH ASSAM, HINDU PEOPLE PARTY,HINDU DARMA SEVA TRUST, HINDU JANAJAGRUTI SAMITI, INTERNATIONAL UNITY FOR FREEDOM AND EQUALITY, SRIRAM SENA AND HERITAGE CONSERVATION SOCIETY MADE A VISIT TO 2 OF 5 REFUGEE CAMPS LOCATED IN KOKRAJHUR ASSAM. THERE ARE 6,000 FAMILIES AT RISK WITH SMALL CHILDREN WHO ARE NOT CURRENTLY ATTENDING SCHOOL DUE TO THEIR EXPERIENCE. 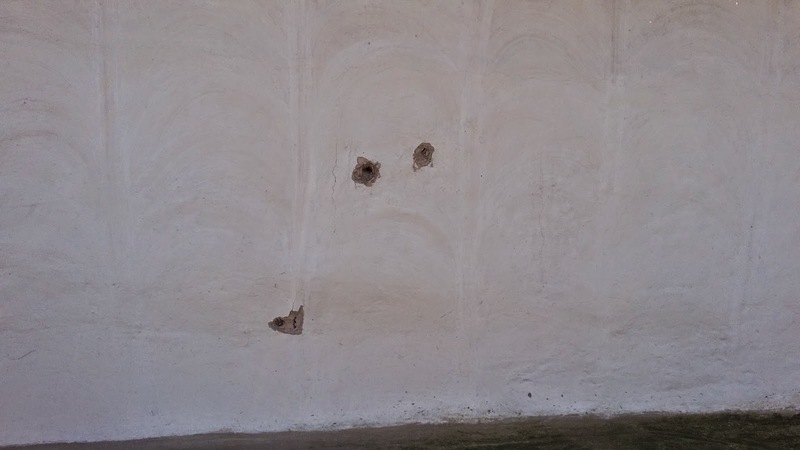 OUR REPORT IS AS STATED BY DEVA GOVINDARAJU WITH PHOTO AND VIDEO EVIDENCE OF OUR VISIT. WE ARE COMMITTED TO BRINGING JUSTICE TO THESE REFUGEES, PROPER FOOD, CLEAN WATER AND MEDICAL PROVISIONS, SECURITY FROM OPPRESSION AND VIOLENT ATTACKS FROM ENEMIES WHO SURROUND THEM. ALL VIDEO AND PHOTOGRAPHS WERE TAKEN DURING OUR VISIT AND ARE NOT ALTERED IN ANY WAY. THESE ARE THE CONDITIONS THAT THESE REFUGEES ARE LIVING IN AND THEIR SUFFERING IS IGNORED BY THE GOVERNMENT. WE ASK EVERYONE FROM THE INTERNATIONAL COMMUNITY TO SHARE THIS REPORT WITH ONE ANOTHER AND WITH THE MEDIAS IN YOUR COUNTRY AS IT HAS BEEN SUBMITTED ON A NATIONAL LEVEL IN INDIA . WE ARE MAKING EVERY EFFORT TO PUBLICIZE AND MAKE THIS SITUATION WELL KNOWN TO THE PUBLIC AND THE INTERNATIONAL COMMUNITY IF PROPER MEDICAL PROVISIONS, FOOD PROVISIONS, SECURITY, AND RESETTLEMENT IN A SAFE ENVIRONMENT ARE NOT PROVIDED TO THESE VICTIMS ON A NATIONAL LEVEL, WE WILL PROCEED ON AN INTERNATIONAL LEVEL AND FILE THIS REPORT WITH HUMAN RIGHTS ORGANIZATIONS AND THE UNITED NATIONS. THESE VICTIMS OR ANY OTHER HUMAN BEING CANNOT LIVE IN SUCH CONDITIONS. THESE ARE NUMEROUS VIOLATIONS OF THE UNIVERSAL DECLARATION OF HUMAN RIGHTS. THIS IS OUR PRELIMARY ACTION TO BRING JUSTICE AND TANGIBLE ASSISTANCE TO THESE VICTIMS. PLEASE MAKE EVERY EFFORT TO ASSIST IN ANY WAY POSSIBLE BY SHARING AND CONTACTING HUMAN RIGHTS ORGANIZATIONS AND ALL MEDIAS. YOUR SUPPORT AND ASSISTANCE GREATLY APPRECIATED AND RESPECTED. 2) Prevent Illegal Muslim Immigrants from Bangladesh & Christian NGO’s divisive agenda. We would like to bring your knowledge the alarming and pathetic situation prevailing in the North Eastern state of Assam and around. Please find attached our team’s field visit report on the above. The following are our observations and our recommended remedial actions sought from you to act on to fix the situation in the border state of Assam preventing further deterioration of the situation. 1) Assam’s Muslim population has grown from 2% to an alarming 26% in 20 years. The primary and the only reason for this is the illegal Muslim immigrants from Bangladesh. This is hampering the son of the soil’s lively hood and is happening at the cost of Hinduism and its cultural values. The immigrants by force seize the fundamental rights of the local Hindu inhabitants.2) These infiltrators influence and bribe the soldiers of Indian army stationed at the banks of river Brahmaputra to enter the sub-continent. The Bangladeshi Government and its army are supporting the infiltrators and are encouraging them through all possible means like supplying necessary tools, ammunitions to infiltrate and navigate into the country. 3) The local political parties and certain national parties are directly and indirectly allowing the illegal immigration as they have vested interest in the happening for minority vote bank. 4) The local Muslim organisations motivate and support the infiltrators helping them to navigate and settle in the Assam and nearby places.5) The Assam Bodo militant organization are funded by Christian missionaries motivating them to maintain the unrest and promote the militancy in the region. These missionaries are adopting divisive politics with an intension to create unrest and establish chaos and promote their ideology in the minds of the people. 6) Assam being a border state with China, china has vested interest in the region and hence supports the BODO and ULFA militants to promote leftist extremism in the region to maintain the unrest. 1) The border security to be strengthened and the fencing to be completed and must be under constant watch. The Government must train the people living in the border areas being native Hindu Assamese to defend themselves and if necessary provide necessary weapons for self-defense. They should provide tools and communication equipment to the border people to communicate immediately to the security forces regarding any intrusion in our area.2) As BJP is gaining positive mandate among the public in the Assam region it should be capitalized. Taking cognizance of the current situation BJP should consider imposing Article similar to Article 370 to Assam giving it an independent status similar to that of Kashmir to uplift and protect the Hindus in Assam. 3) Similar to the ban prevailing in the state of Arunachal Pradesh on religious conversions, it is appropriate to impose a similar ban in Assam. 4) Assam is rich in Hindu Culture and they are decedents from the Ekalaiva clan from the ancient epic age. The Government should consider the renovation and restoration of the Hindu ancient temples, scriptures and associated historic places promoting tourism thereby preserving the places of historic interest and helping to prevent the destruction of the Hindu religion and upholding its values. Ramayan, Mahabharatha, Shakthi Pedam and Kamkya temples are of historic significance in Assam which needs to be preserved and promoted for the next generation.5) The basic and fundamental facilities of lively hood like, food, education, medical facilities, etc are to be immediately arranged to the families living in the rehabilitation camps in the places mentioned in the attached report. 6) Necessary arrangements and facilities to be provided to the families to earn their lively hood through agriculture there by helping them to carry out nature farming and allied vocations in the region. 7) The natural resources and the oil and gas exploration sources are to be well protected and necessary steps are to be initiated to ensure that these do not fall under the control of the militants, Chinese or Bangladeshi militants. 8) The Islamic madrasa schools and the schools run by Christian missionaries are to be banned and more Government schools to be started to supplement the need. Necessary steps to be taken to promote education in mother tongue and local language. We are confident that you will understand the situation with better insight and will immediately order for an appropriate remedial action in Assam. We wish and pray for your continued success and growth in Assam and Northeastern region. In the service of Bharat Matha. HINDU PEOPLE PARTY STATE VICE PRESIDENT DEVA GOIVINDARAJ’S FIELD SURVEY REPORT ON ASSAM FOR PRIME MINISTER’S NOTICE AND RELATED DEPARTMENTS AND MEDIA. Nitin kurve, Deva govinda raju, Shrikant pangarkar, Zeerina Eli Norton along with other local leaders visited the Bidyapur Bongaigaon district, Koch Rajbangsi relief camp in Assam. It was observed that 643 families are living in the rehabilitation camp for the 25 years were facing hardships and were undergoing a painful livelihood. During 1991, there were clash between two native communities of Assam being Boro – kochari and Koch Rajbangsi. 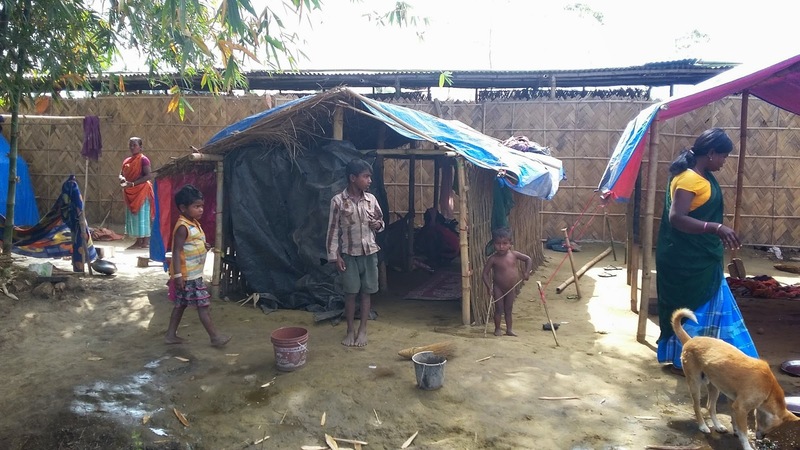 A result of the clash the Koch Rajbangshi community left their respective villages and sought refuge in the relief camps. It appears that the government has neither shown any support nor made necessary arrangements for their rehabilitation. On a temporary basis they were half plot of land to stay. There is no education for the children for the past 25 years, livelihood is at stake and no efforts appears to have been made by the government for the recovery or restoration of their lost properties. The leaders convinced them that the issue could be handled in a legal manner through state and central governments so as to provide proper rehabilitation to the affected communities. On 2nd March 2015, the team visited Bathou mandir, Hirimbapuri, Shantipur under the jurisdiction of Chirang district. 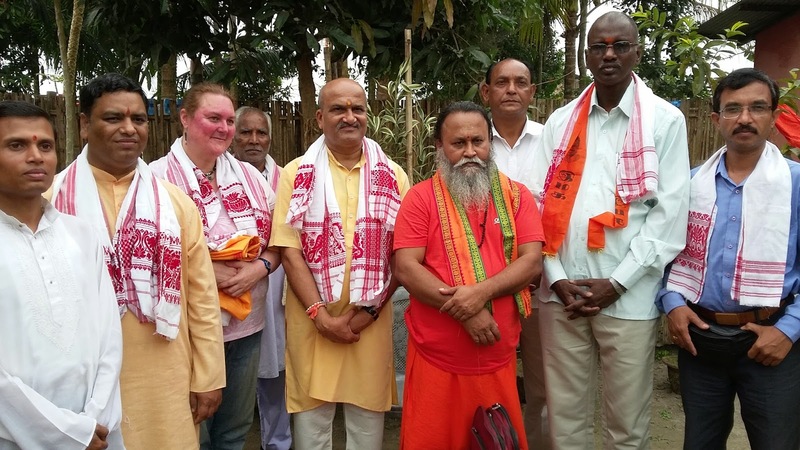 Their major inhabitants belong to boro community, the majority of who are now Christians converted from their parent religion of Hinduism.In the recent period they have returned back to Hinduism and have established an ashram, known as Bathou ashram. The ashram is headed by the Hindu guru who had been a pastor of Christian church for 25 years prior to his return to Hinduism. As phase two the team continued its visit to Deosri in the evening. 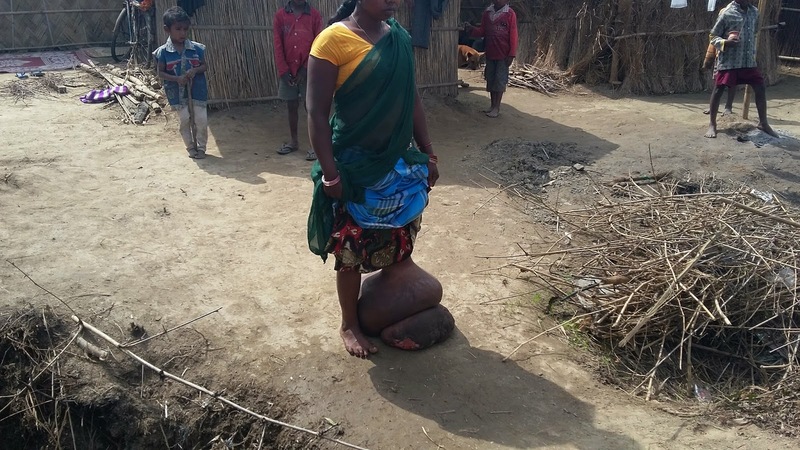 It was noted that there were nearly 6000 Adivasi Santhal people who live in relief camp without proper health facilities, proper sanitary facilities and inadequate food supplies from the Government. The hygiene and health levels are alarming and poses a threat of contagious diseases being spread. The families feel very apprehensive and uncared at the relief camp. At that relief camp they feel sorry for the Government and its lack of attention towards them. To our dismay it was noted that as per Government records there existed no relief camp whereas in reality there are 6000 families struggling to manage their livelihood. On 3rd March 2015, the team visited Jaipur, Malegaon and Pakhiriguri Santhal relief camp. At Pakhiriuguri 5 persons were killed by extremist group National Democratic Front of Bodoland (NDFB). NDBF is sponsored by Christian community of the world. 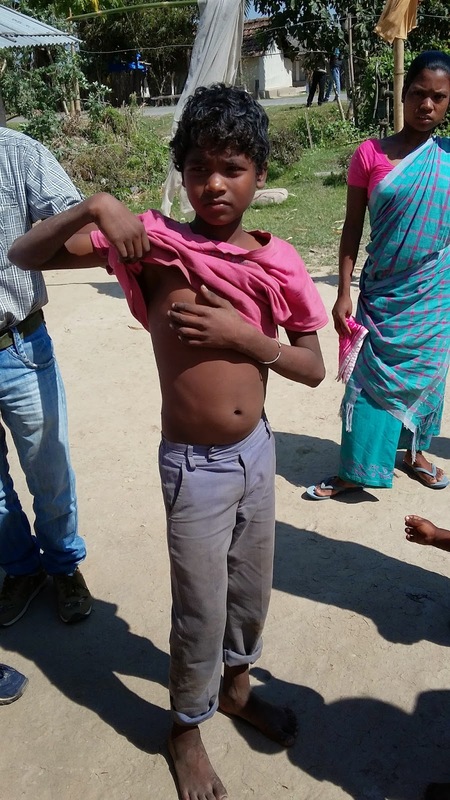 During December 2014, NDFB attacked on the villages inhabited by the Adivasi people (Santhal) where lots of people were killed and others were missing and most of them are from the relief camp. Both the State Government as well as BTAD Government does not recognise and even denied the existence of the relief camps as a result of which the inhabitants are helpless and are living in miserable condition. They are deprived of proper housing, sanitation, water, security, food etc. The communities are affected by various diseases like polio, gangrene, malaria, etc, for which no proper treatment has been provided. Health care, vaccination and other medical facilities are totally ignored and made unavailable to these inhabitants. There are 6000 families struggling to manage their livelihood.